Virgin Media has confirmed that it will roll out 100Mbps broadband this week – doubling the speed of its top level package and claiming that over 12.7 million homes will be able to get the service. Prime Minister David Cameron spoke about the 100Mbps service earlier in the week – as you may have read on TechRadar – and the cable giant has now officially announced the news, and confirmed that it will go on sale in December. Neil Berkett, chief executive officer at Virgin Media said: "The launch of our 100Mb service is a significant milestone in the UK's broadband evolution and a vivid illustration of the power of our next generation network." "From establishing the UK's first ever broadband service in 2000 to the launch of 100Mb in 2010, in the space of just ten years, Virgin Media has led the greatest developments in digital Britain," he added. "The world of possibilities that broadband will enable is set to explode and we're excited about the innovations we can bring to consumers in the next decade." Virgin Media believes that the rise and rise of IPTV – such as the forthcoming YouView –will make fast connections vital as households connect to the internet through several devices at the same time. "We have already seen a massive uptake in the number of customers watching video rich services and bandwidth hungry high definition programmes and clips," added Berkett. "We are now in a world where people want the best connectivity with whatever screen they are using and those service providers that aren't able to deliver this will simply be left behind." The 100Mb service will be rolled out across Virgin Media's cable network with thefirst areas to get the "ultrafast" service including parts of London, the South East and Yorkshire. The roll-out is expected to be complete by mid 2012. 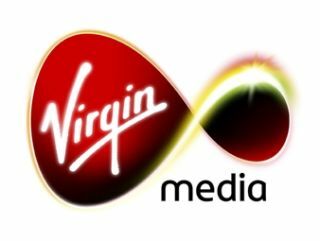 "As well as providing 100Mb download speeds, the service will also deliver 10Mb upload speeds, giving Virgin Media customers the ability to share content such as live high-definition video with ease," added Virgin Media's release. "The new 100Mb package comes with a new custom built energy efficient combined modem and wireless 'N' router, with the potential to deliver speeds of up to 400Mb as new services roll-out in the future. "A typical family will be able to get the new ultrafast service for as little as £35 a monthwhen bought in a bundle, or just £45 per month when bought as a sole product."